WE PRESENT OUR HOTEL GARNI 'DIRECTLY TO THE LAKE, HAPPY HOLIDAYS! FAMILY Bertera. 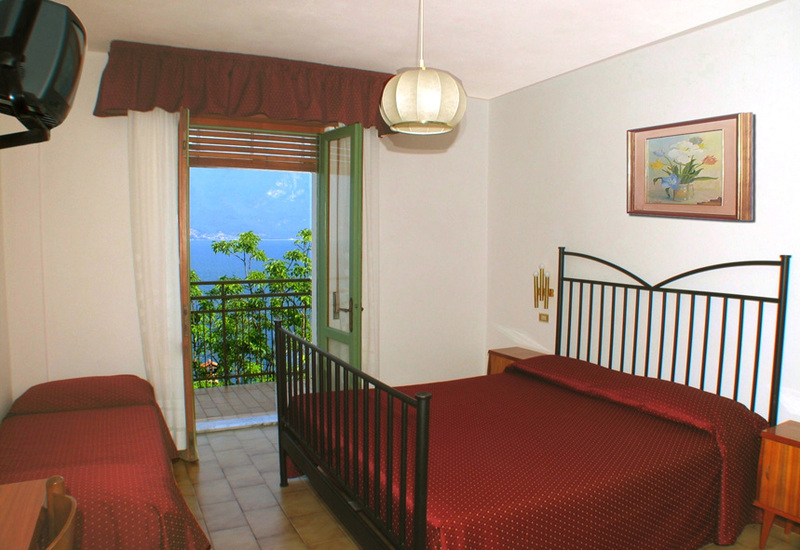 The Bertera family is proud in giving you a warm welcome at the AUGUSTA Garni hotel. 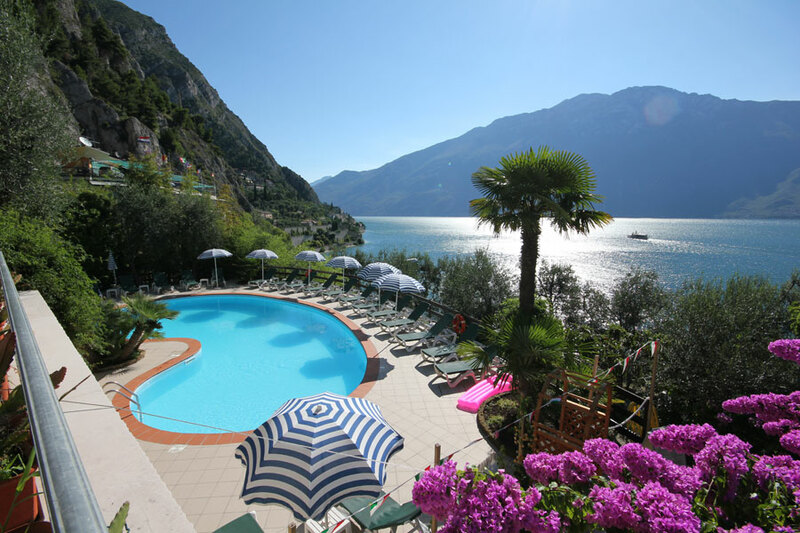 It is situated in one of the best and enchanting places of Limone sul Garda, and it offers a great panoramic view to the lake. The position is very quiet. One finds well furnished rooms with private bathrooms, balconies with lake view, sattelitr tv, telephone and free wifi. In a short distance, inside the green nature of an olive hill, there is the pool with deck chairs, sun ombrellas, a garden and a bar-pizza-serrvice. In the breakfast room you get offered an abundand a full breakfast with capuccino, coffee, milk, fruit juices, croissant, bread, butter, marmelade, cereals, yoghurt, fresh sliced sausages, cheese,eggs and fresh fruits of the season. 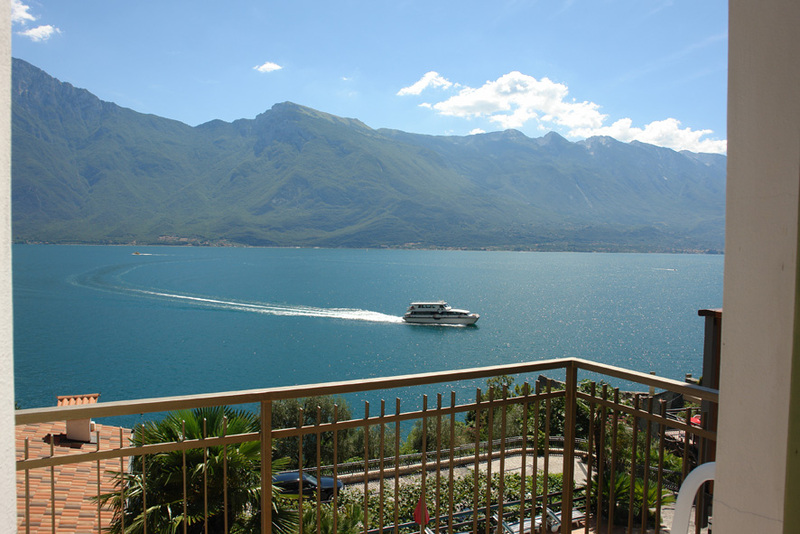 In the summer months the breakfast will be offered on the terrace in the open, with a splendid view to the lake, surrounded by a mediteranean nature, in between olive trees, lemon trees and bougainville bushes. Only some walking minutes away you will reach the village center, qith all of its antique buildings and places, with lots of shops and the market place. It is our duty to do all the necessary steps to offer you a pleasant stay, so our guests will be fully satisfied. ROOMS WITH EXCLUSIVE VIEW ON THE LAKE. appertitive, or eating a pizza, surrounded by a magic landscape with a lake view.